Malawi, located in southeast Africa, is one of the world’s most impoverished and least developed countries. Its capital city, Lilongwe, with a population nearing 800,000, has seen an influx of new residents as Malawians migrate from rural areas in search of economic opportunity. Many are settling in recently urbanized areas of the city that lack fresh drinking water. Access to clean water and sanitation are generally taken for granted in most of the developed world. According to the United Nations Development Program, one billion people lack access to safe drinking water in developing nations, including 300 million people in Africa. The toll is high. The World Health Organization reports that 2.2 million people die each year from a lack of potable water, nearly half of those are children. 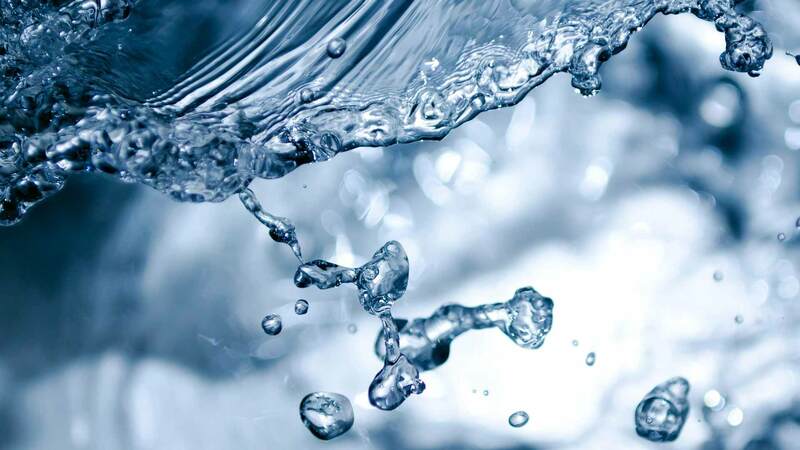 Responding to the growing problem in Malawi, the European Investment Bank stepped in to finance a project to bring clean drinking water to the recently urbanized areas of Lilongwe where approximately 10 percent of the population lack access to clean water. 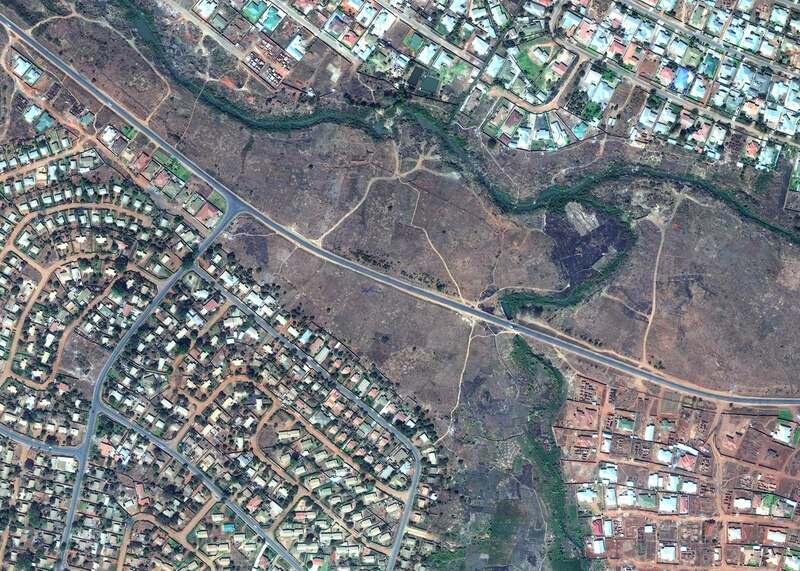 Very high resolution WorldView-2 imagery of Lilongwe made it easy to produce a base map, which can then be used to efficiently design the water pipeline network. The first step in building the new water system was to identify those areas of the city that lack a drinking water supply. The European Investment Bank enlisted the expertise of Dutch water utility company Vitens Evides International to execute the project. WorldView Global Alliance reseller Geoserve was then tasked with creating an accurate and current base map of the entire city that was used to identify the areas in need of water. Because of WorldView-2’s enhanced feature classification and identification capabilities, particularly in bright and dark areas, its imagery is tailor-made for highly accurate mapping of individual buildings and other urban infrastructure. In addition, WorldView-2 is able to map large areas quickly and cost-effectively. With so many disparate areas around the globe lacking fresh water, the expedience of creating the Lilongwe base map can act as a model for both small- and large-scale projects similar in scope. The availability of accurate high-resolution satellite imagery can have a real impact on this global problem. When you think of the millions of people who lack access to fresh water, the ability to quickly and inexpensively create base maps from resources like satellite imagery and GIS analysis can have a huge impact on the lives of hundreds of thousands of people. Create a base map of newly urbanized areas of Lilongwe to enable the European Investment Bank to bring fresh water to the approximately 80,000 residents who lack potable water. Netherlands-based company Geoserve used WorldView-2 8-band very high-resolution satellite imagery to create a base map of the region, identifying areas lacking fresh water. A timely and cost-effective base map enabled the development of a plan that identified the most effecient design of the water pipe network. Netherlands-based Geoserve, a WorldView Global Alliance authorized reseller, specializes in the delivery of processed data, including maps, elevation data, and specific GIS data layers for a wide variety of industries and environments.